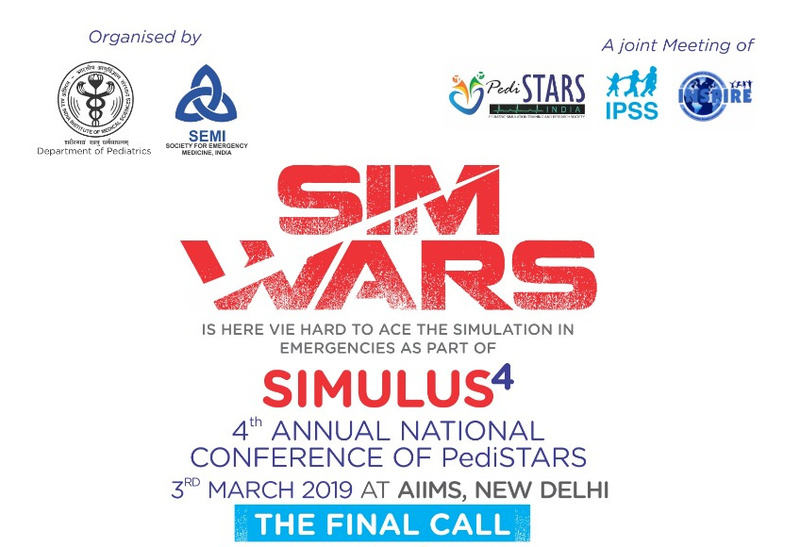 It is a great pleasure and an honor to extend to you a warm invitation to attend the 10th Asian Conference on Emergency Medicine to be held November 7-10, 2019 at the Leela Ambience Convention Hotel, New Delhi, India. 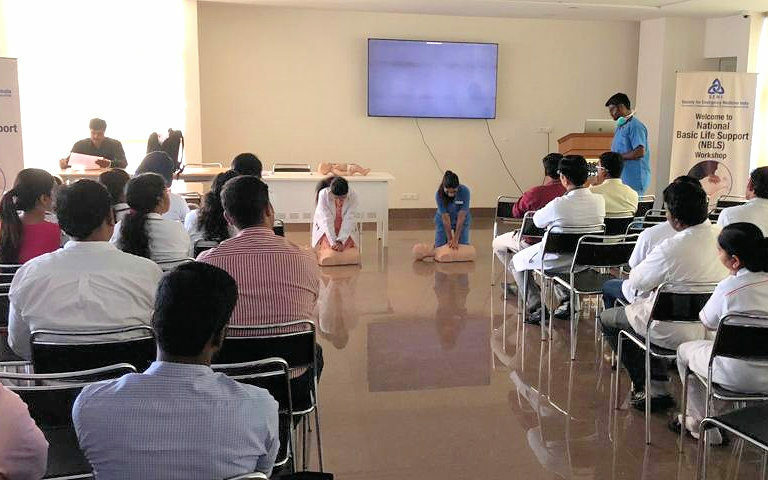 The 2019 Conference is jointly organized by the Asian Society for Emergency Medicine (ASEM) and the Society for Emergency Medicine, India (SEMI). 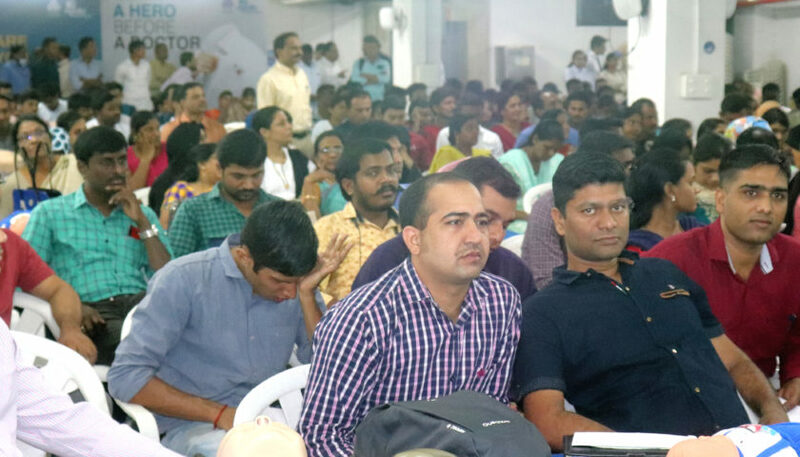 The theme of the Conference “Affordable Care, Bridging Gaps, Creating Impact” will underpin the need for collaboration and cooperation of our global family of emergency medicine. New Delhi, being the capital city of India is renowned for its varied heritage sites, from the Qutub Minar to the Red Fort. The city seamlessly blends the Old and the Newer parts of town. So while you may enjoy the mouth watering kebabs (recipes that are centuries old) at Old Delhi under the winter sun, you very well may find yourself enjoying the nightlife in one of the party hubs of Delhi the same day! The city is engulfed by the famous cities of Agra, Jaipur and Himalayan mountains are not that far away. ACEM 2019 will provide a wonderful forum for you to refresh your knowledge base and explore the innovations in emergency medicine. 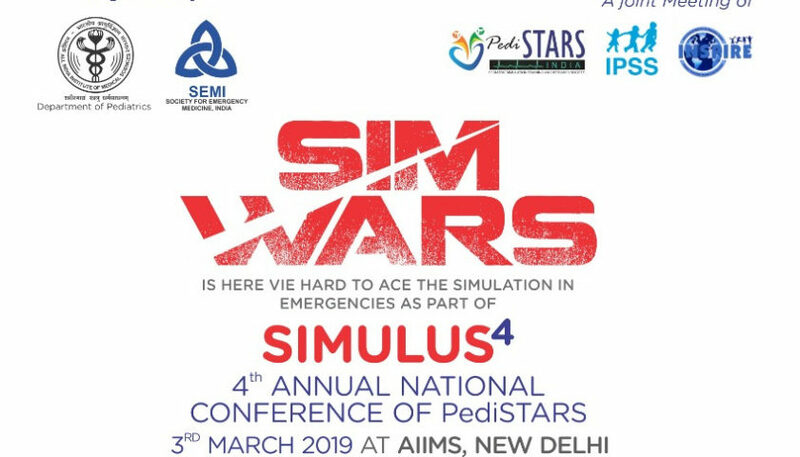 The conference will feature some of the giants of emergency medicine, people you’ve heard and met before and some young guns too who are climbing the ladder to success very quickly! 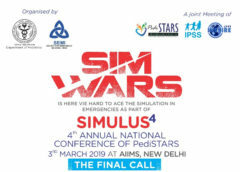 The Conference will strive to offer plenty of networking opportunities, providing you with the opportunity to meet and interact with the leading emergency physicians, administrators, leaders, innovators, friends and colleagues as well as sponsors and exhibitors. We hope you will join us for a symphony of outstanding science, and take a little extra time to enjoy the spectacular and unique beauty of this region. 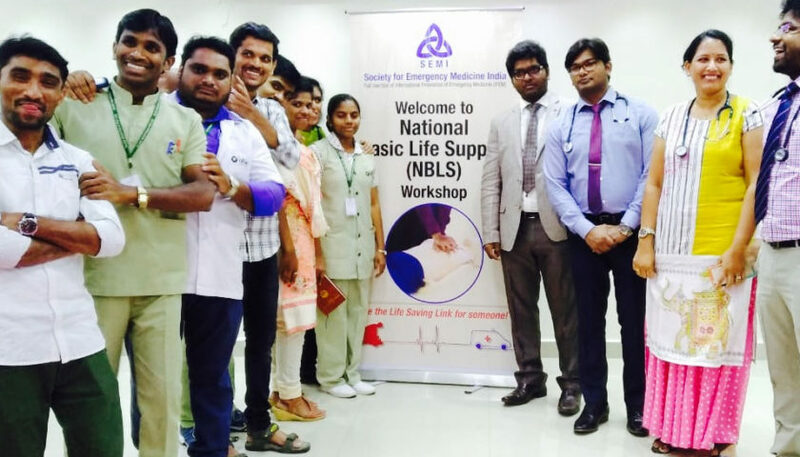 To bring recognition on to all academic training programs that are creating emergency physicians for India, and integrate those under one single standardized board certification. 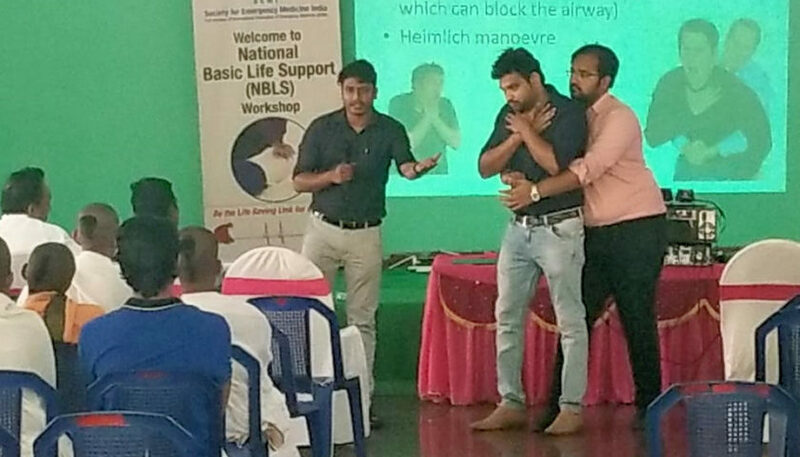 To spread awareness about emergency medicine specialty among healthcare & non-healthcare professionals, and general public. 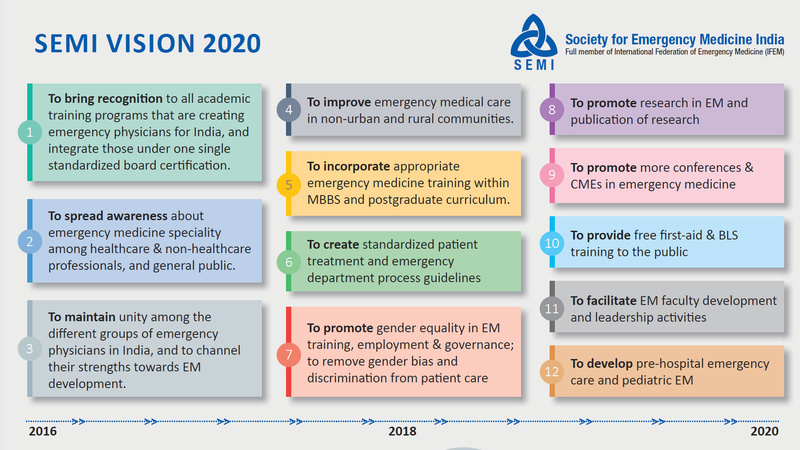 To maintain unity among the different groups of emergency physicians in India, and to channel their strengths towards EM development. 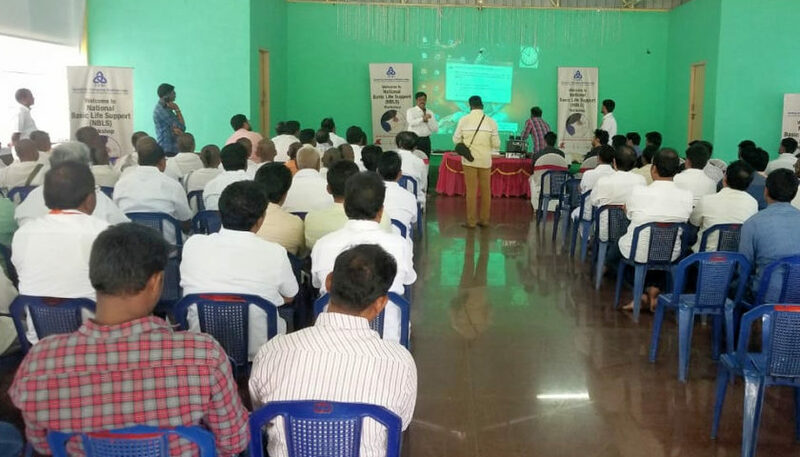 To improve emergency medical care in non-urban and rural communities. 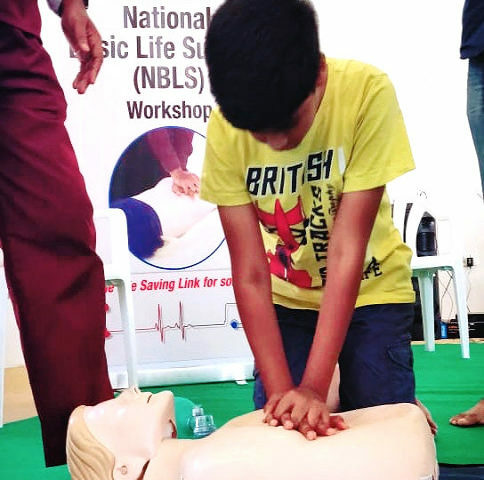 To incorporate appropriate emergency medicine training within MBBS and postgraduate curriculum. To create standardized patient treatment and emergency department process guidelines. 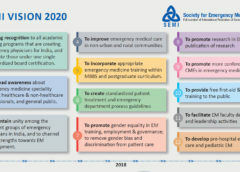 To promote gender equality in EM training, employment & governance; to remove gender bias and discrimination from patient care. To promote research in EM and publication of research. 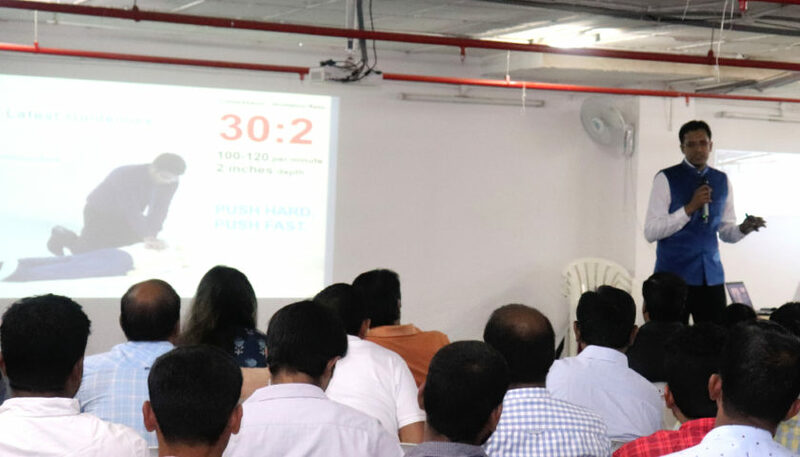 To promote more conferences & CMEs in emergency medicine. 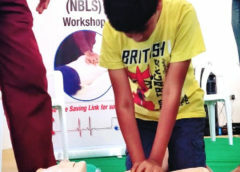 To provide free first-aid & BLS training to the public. 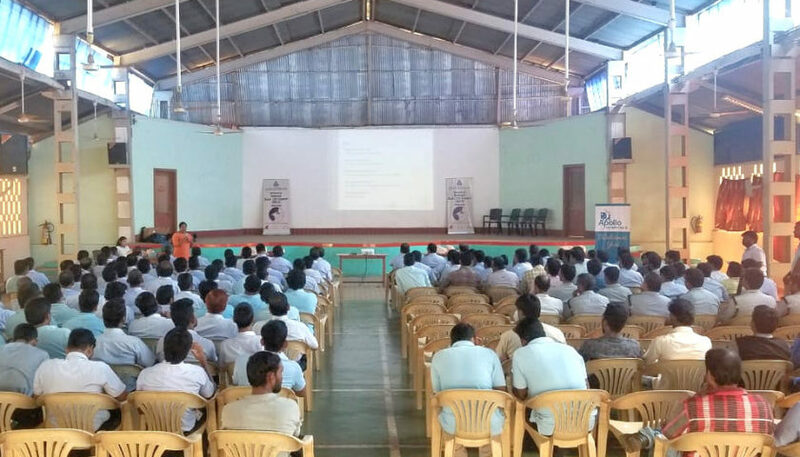 To facilitate EM faculty development and leadership activities. 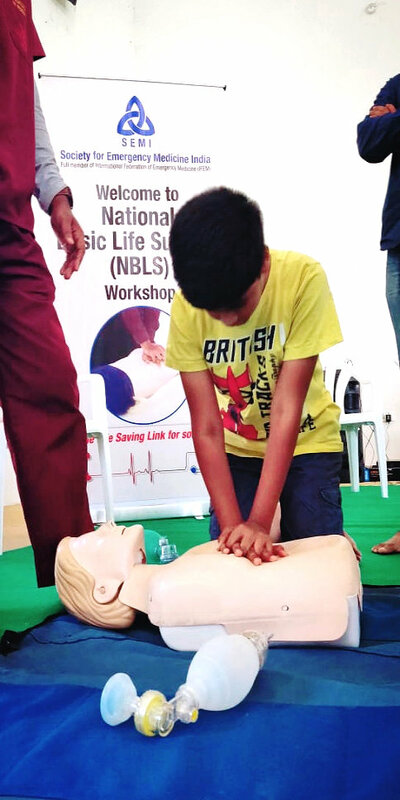 To develop pre-hospital emergency care and pediatric emergency medicine. 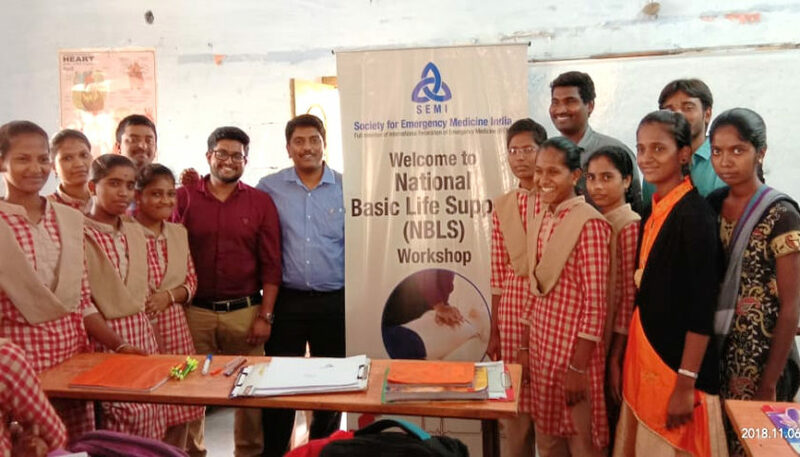 Society for Emergency Medicine India (SEMI) has successfully launched the first set of National Basic Life Support (NBLS) courses on 28th October 2018, in Hyderabad city. 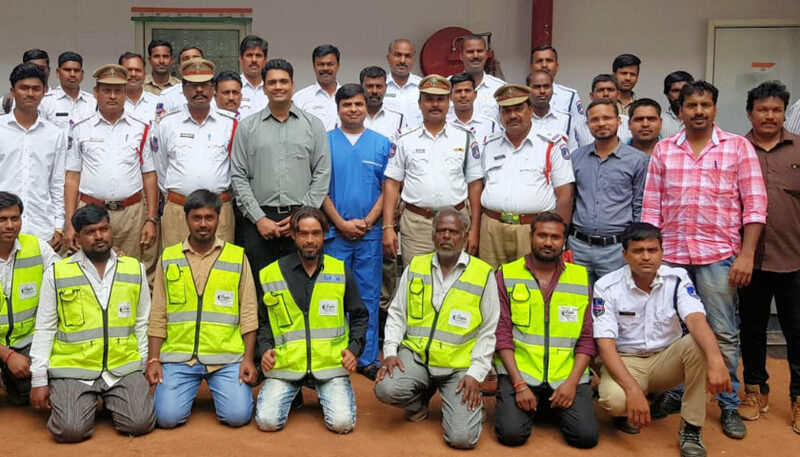 This great launch was assisted by emergency medicine departments of multiple hospitals in Hyderabad. 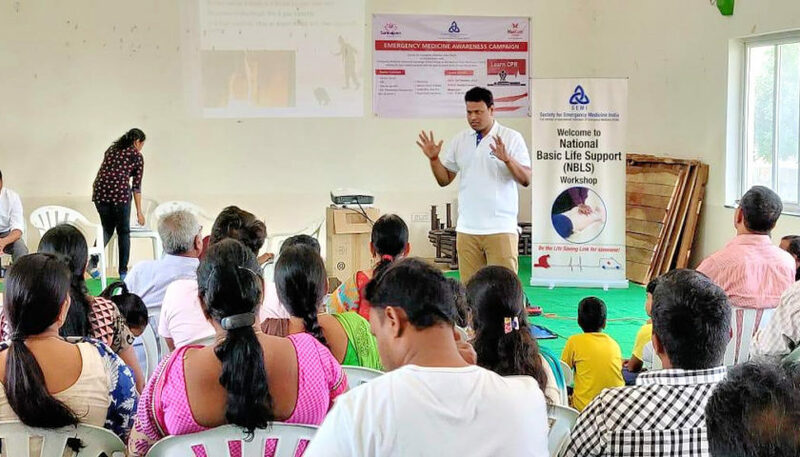 Teams of life-support instructors conducted NBLS sessions for non-healthcare personnel at multiple locations, and trained more than 1500 people in just 2 weeks. 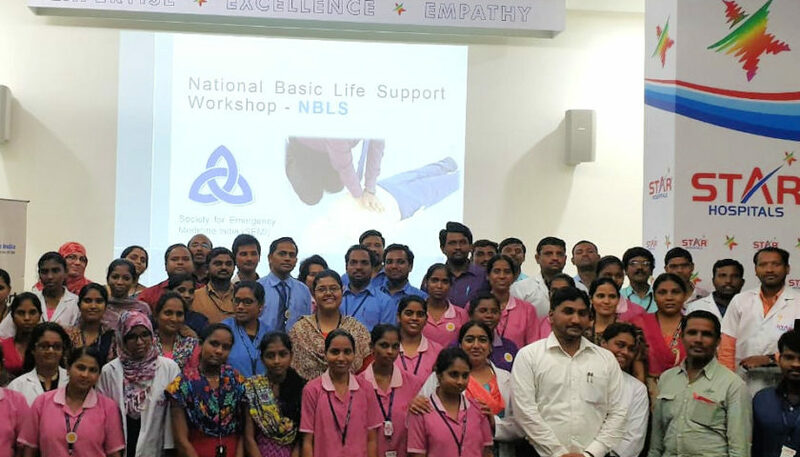 NBLS is part of SEMI initiative to bring awareness in common public about emergency conditions and to train them to identify, act immediately before reaching to emergency experts/hospitals. 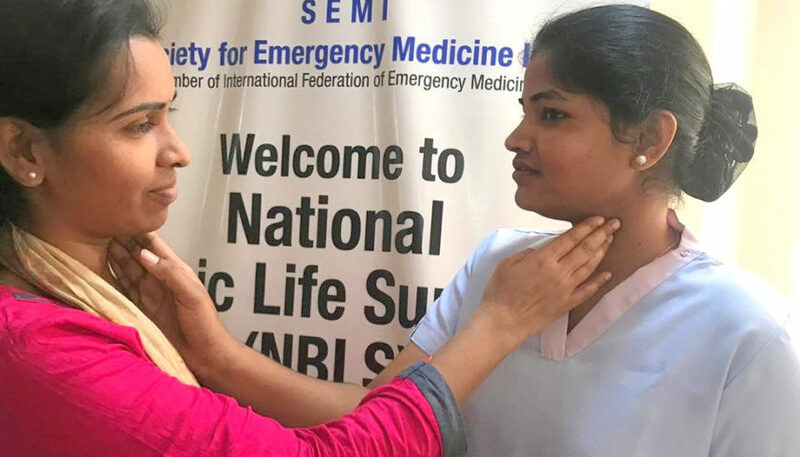 SEMI recommends all the emergency medicine departments in the country to conduct NBLS uniformly and periodically to build the community trust in the emergency care.